A recent case involving the City of Hazelwood illustrates the difficulties and the potential liabilities for local government for failure to provide due process. In the Hazelwood case a police officer stopped a St. Louis County resident when he noticed that the vehicle lacked a front license plate as required by state law. The Officer ran a record check of the Driver, which revealed an outstanding warrant for his arrest in St. Louis County. The Officer asked the Driver if he had any weapons in the car. The Driver disclosed that he had a 9 mm Ruger pistol stored in the front console. The officer seized the pistol based on Missouri law that made it a felony for a fugitive to have a firearm. The Driver was charged with the unlawful use of a firearm; however the charges were later dismissed after it was learned that the firearm was legally purchased by the Driver, that it was properly registered under Missouri law in the Drivers name, and that the Driver had a valid permit to conceal and carry the firearm on his person in the State of Missouri. 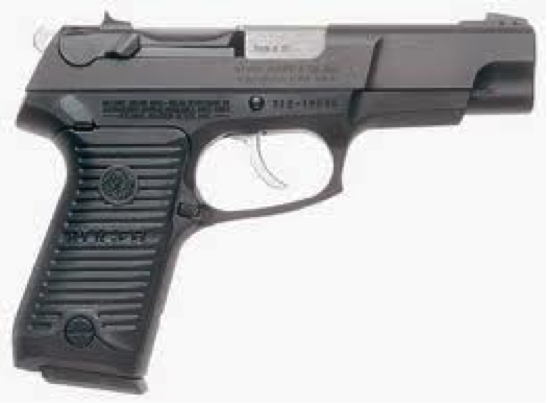 The Driver sent the City police department numerous requests asking for the return of his pistol. Notwithstanding the dismissal of the original charge the Hazelwood police department refused to return the pistol after learning that there was another warrant for the Drivers arrest by the City of Edmundson. Even after Hazelwood learned that at the warrant by Edmundson for the Drivers arrest had been dropped it still refused to release the firearm relying on a City policy that it would not return a firearm that it lawfully seized unless ordered by a court. This of course prompted the Driver to file a civil rights lawsuit against the police chief and Hazelwood in federal court alleging that he had been deprived of his property without due process of law in violation of the 5th and 14th amendments and that the same conduct violated his right to keep and bear arms under the 2nd amendment. The federal district court ruled for Hazelwood and the Driver appealed to the Eighth Circuit, which held that the United States Constitution requires a hearing once it is determined that the initial seizure of the ammunition and the weapon was not required as evidence in a court proceeding or the items were not contraband. The need for an immediate hearing occurred after it was determined that the initial charge filed in St. Louis County was dismissed and the fugitive warrant in Edmundson County was dropped. A post-deprivation remedy will suffice only when the challenged acts of state officials can be characterized as random and unauthorized. In the Hazelwood case, the City sought to hold the property pursuant to established procedures without providing an opportunity for a hearing, which violated the due process rights of the Driver. 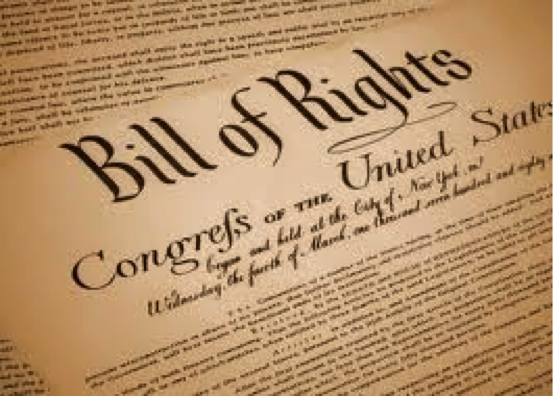 With respect to the 2nd amendment claim the Eighth Circuit affirmed the trial court’s decision on the grounds that the 2nd amendment protects generally the right to bear arms but does not protect the right to a particular firearm. This case could be a game changer since my experience suggests that the policy followed by Hazelwood is pretty common. Public officials should consider checking with their police department and their city attorney to determine how the city has handled the return of property confiscated as part of an arrest. Police departments will be required to return property it seizes at the time of the arrest after the underlying charge is disposed of provided the property is not contraband or conduct an immediate hearing to establish if the city has the right to continue to hold the property. This is similar to the situation where the police tow and impound a vehicle. This entry was posted in Law and Policy and tagged City cannot hold property without due process hearing, Due process required in order to keep property, Right to bear arms, Right to bear arms does not apply to a particular weapon, Right to bear arms is a generalized right, Second Amendment right to bear arms, Seizure of weapon as part of a lawful arrest, Walters v. City of Hazelwood. Bookmark the permalink. Howard, weapons are not “registered” in Missouri, to an individual or otherwise. The only thing that would connect an individual to a particular firearm would be the Form 4473 that is completed at the time of sale from a FFL 01 and is used in the NICS investigation (FBI Background check at PoS). The FBI is supposed to purge this information within 48 hours from their records, and the FFL keep it in their own personal possession so long as they are “in the business,” but a copy does not get sent anywhere. I ask you to correct this as it leads to misinformation about a subject that the general public already receives a great deal of misinformation from the media about. I do not see Hazelwood Police Chief Carl Wolff’s name mentioned anywhere in the story. The SAF (Second Amendment Foundation) warned him when he was confiscating weapons in 2003 from legally licensed concealed carriers as part of routine traffic stops for “ballistic testing purposes” in his little stunt to oppose the passage of Missouri Concealed Carry. This is also the same Police Chief who is in the dual employ of American Traffic Solutions (Hazelwood’s Red Light Camera Vendor) as a Board Member of Missouri Families for Safer Roads. Matt, thank you for your interest in my blog. Section 571.070.1. (2) RSMo. provides that a person commits the crime of unlawful possession of a firearm if the person has a firearm in his possession and he is a fugitive from justice. The police lawfully seized the firearm in the Hazelwood case because there was an outstanding warrant for the Drivers arrest. When the underlying charge in St. Louis County was dismissed and the warrant for the Drivers arrest in the City of Edmundson was no longer active the City should have returned the firearm of provided the owner of the firearm an immediate due process hearing if it had some other reason for not returning the firearm. The opinion of the 8th Circuit in the Hazelwood case, which I quoted states that neither party to the case disputed the allegation that the Driver legally purchased the handgun, that the handgun was properly registered under Missouri Law in the Drivers name and that the Driver had a valid permit to conceal and carry the handgun on his person. This statement by the 8th Circuit may be confusing and appears to not be an accurate statement of the law as you have suggested. It would seem that this statement was intended to focus the opinion on the real issue in the case, which is that the firearm was seized because the Driver was a fugitive, not because he was carrying a concealed weapon. I did not use the name of the police chief nor did I use the name of the driver since in my mind the names of the individuals are not necessary to understanding the case and personalizes issues. My goal in writing about Missouri Public Policy is to help local officials understand the law, which in the case means that they should returned property or provided an immediate due process hearing. The views expressed in my blog are my views alone and not the views of any organization or any other person. Again, thank you for your interest. Not only is there no provision in Missouri law requiring or even enabling one to register a firearm, but Missouri law specifically allows anyone 21-years of age or older and not otherwise prohibited from firearms possession to possess a concealable firearm anywhere in the passenger compartment of a vehicle. See http://www.moga.mo.gov/statutes/C500-599/5710000030.HTM sect. 1 paragraph 3. Chief Wolf of Hazelwood has been notorious within Missouri for his stubborn refusal to acknowledge our state’s concealed carry laws. Thank you for calling this to my attention. I have replied to your questions in my response to a similar question by Matt Hay. We are not asking you, we are trying to educate you. 1) in the state of MO. one does not register their firearms, period. Do not confuse the 4473 or the NIC check as a form of registering a firearm in MO. Also the firearm was inside of the car. You do not need a CCW to have a loaded firearm inside of the cars compartment so long as the owner of firearm is of age which I think is 19 (what do I care, I am 53). So as pointed out, your comment about the person having a CCW is of no importance. Are you a reporter or someone who likes to spit out misinformation. One of those who say “Dont confuse me with facts!” Shame on you for not doing your homework before reporting. I always thought that this was part of reporting. It appears that the liberal media says “Damn the facts, spewing misinformation full speed ahead”. Paul. Sorry, I do not get to change what the 8th Circuit Court of Appeals said in its opinion even though the statement by the 8th Circuit was not a correct statement of the law. My point, as well as the 8th Circuit Court of Appeals, was that the firearm was confiscated because the Driver of the vehicle was a fugitive from justice. The confiscation of the firearm had nothing to do with whether or not the weapon was concealed, which makes the comments you have referred to by the Court as not relevant to the decision. I report the facts of the case not what I think they ought to be. I cannot change the opinion of the Court although I have noted that the statement by the 8th Circuit was not a correct statement of the law. My goal in writing this article was encourage local government to return the firearm or provide a due process hearing, which seems to me to be a good thing furthering the interests of all parties. I am a rabid second amendment advocate and I have to say that this blog is the fairest piece of journalism I have seen. Factual and calm, even when being attacked in the comments, although you did fail to break down your source information in an understandable way. you failed to SAY that the court said this. When I read it, my first impression was that you were reporting the facts as you understood them, not the opinion of the court. Having followed this case and the issues with this police department, the process seemed legal up until the point where the department refused to return the weapon or give due process. I am glad you focused some attention on that as it appears to be an epidemic in the executive branch of our government. But I would like to echo what is well known by most gun owners in Missouri in that no registration of guns is required and there is no restriction on method of carry in a vehicle and no need for a CCW to carry in a vehicle. Citizens need to know they have these rights and AVAIL themselves of this right.